Employees and spouses on the Cigna medical plan have access to one-on-one telephonic health coaching. This service is free-of-charge and is included with your medical coverage. Cigna health coaches are highly qualified and dedicated to meeting you where you are in your personal health journey and helping you get where you want to be, one achievable step at a time. Cigna’s whole person approach expands the focus beyond the risk, condition or disease to support an individual’s total health needs. Whether its lifestyle, biometric risks, or a chronic condition, Cigna’s health coaches can help you take control to live your most vital life. Is Cigna health coaching for me? Don’t see your top health concern on the list? Not to worry. Cigna health coaches are trained in a variety of areas to help guide and motivate you on your journey to better health – even if you’re not sure where to start. 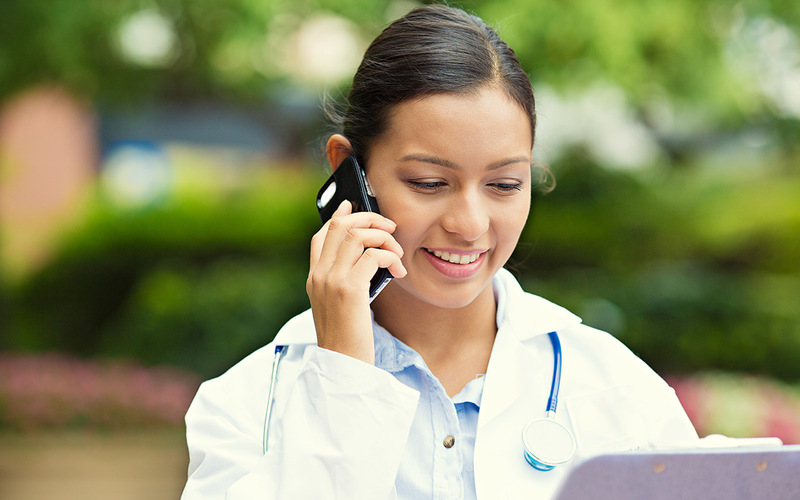 To get started with a telephonic health coach, call the number on the back of your Cigna ID card. 1. What is Cigna health coaching? Through the benefit plan offered by your employer, you have access to one-on-one support from a Cigna health coach to help you achieve your health goals. Cigna health coaches are highly qualified and dedicated to understanding your health issues. He or she will work with you one-on-one to support you, understand your personal needs, and help create an action plan to help you move toward your goals and earn rewards as you make progress. 2. Who are the Cigna health coaches? Cigna health coaches (also known as Personal Health Advocates) are trained as registered nurses, behavioral specialists, health educators, exercise specialists or nutritionists – all supported by doctors and pharmacists. 3. Will I talk with the same coach for each session? Yes, after being matched with a coach (also known as a Health Advocate) you will work with the same coach for each session. 4. What happens on the first call and on recurring calls? The initial session focuses on developing rapport, identifying what is most important to the customer, addressing gaps in care, and setting a starting goal toward health and wellness. In recurring calls, coaching progresses toward the customer’s overarching health goals. The goal of coaching is to help customers gain skills and develop healthy habits in order for customers to make sustainable lifestyle changes that will continue when coaching completes. 5. What is the average length of a coaching call? The average length of a coaching call is 20-30 minutes. 6. What type of health goals can a Cigna health coach help me with? Everyone has different needs when it comes to improving their health and well-being. Cigna health coaches are dedicated to understanding your needs and helping you find solutions, even when you’re not sure where to begin. Better manage a chronic condition like asthma, heart disease, diabetes, low-back pain, osteoarthritis, depression, anxiety, and more. Improve conditions such as high blood pressure or high cholesterol. Improve your lifestyle by learning to cope with stress, quit tobacco use, and/or weight loss. 7. How do I connect with a coach? You may receive an automated outreach call. This is not a telemarketing service. You will be asked a few questions, and then connected with a live health advocate so you can make a coaching appointment or get connected with a coach right away to start working on your health goals. You can also connect with Cigna anytime day or night by calling the number on the back of your Cigna ID card to enroll in health coaching. 8. Are phone calls private? Every phone call is private and confidential.